*I* Battle…? Doesn’t Rachel get any credit? Coincidence and fate seem to be figuring largely in Percy’s life lately at the moment as well. After I’d finished the opening chapter of TBotL, I found myself thinking that it seemed to hold a fair bit of coincidence, which I’ll detail in a moment. Yet is it really coincidence? Does Riordan have something up his writing sleeve here? Or could it be argued to be fate that brings everything together? It’s Greek mythology, after all. There’s more than enough room for fate (and more leeway for that sort of thing, in storytelling terms, than one might give in a sci-fi tale or mainstream detective story). This isn’t the sort of thing one (i.e. me) should really judge after only one chapter, however, so I must wait and see. Percy’s new school also just happens to be the hunting ground of empousai-cheerleaders Kelli and Tammi. They weren’t there waiting for him, he just came there and they recognized him. (Though perhaps this is a side-effect of more monsters rising? A greater chance of running into them in the general population? On the other hand, they’d been at the school for at least a while in order to get on the cheer squad and be in a position to lead the orientations.) Though Kelli did seem to know something of Kronos’s plans, didn’t she? Percy only catches Kelli’s and Tammi’s attention because he ducked around to the side entrance to avoid Rachel. This is not to say that it was a bad chapter. I enjoyed it, and like I said I was happy to see that Rachel is in the book. Plus, hey, vampires. And they try to kill you and don’t sparkle! I feel bad for Percy’s mom, though. That’s probably going to be an awkward discussion with Paul. The object of my repressed adolescent destructive tendencies. Incidentally, a fight in a band room? Awesome! Vicarious thrills for Michael! I’ve always wanted to throw a tuba. 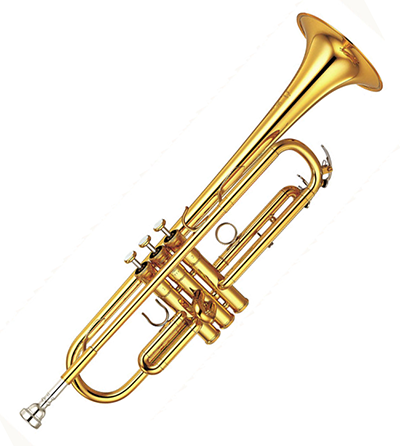 Really, in high school I used to fantasize about buying all of the instruments in the band room and just having a huge smash-fest, just for the sheer sake of destruction and being able to give in to the occasional desire to see what happens to a trumpet when you whack it against a door frame. …Let’s just say I had issues with my high school band teacher, at leave it at that. Time to bring back the favorite quote/line of the chapter feature! A marching band played an out-of-tune fight song that sounded like somebody hitting a bag of cats with a metal baseball bat. Excellent simile. Cringe-inducing, but excellently so! I just hope Riordan didn’t test that one out before he put it on the page. 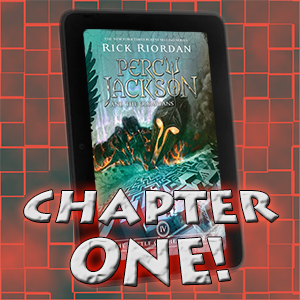 “Heroes of Olympus” take place… I think 8 months, or so, after the final Percy book.